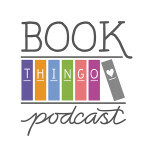 Kate and Kat chat about romance fiction in Australia. Part 1 of a series of vodcasts for Aussie Author Month 2012. So the lovely and extremely knowledgeable bookworm Kate (@katydidinoz) and I have joined forces to do something a little different for Aussie Author Month. Look, mum, we’ve made a vodcast! I’ve been thinking about doing vodcasts for a while, and sharing camera time with Kate seemed a lot more fun and a lot less talking-to-a-wall-ish than doing it on my own, so I’m chuffed that we’ve been able to do this. In this video we touch on what it’s like the to read romance books in Australia, our experiences with local romance communities, the general awesomeness of Australian romance authors, romance in the broader literary community and, most important of all, what we’re currently reading. It’s our first attempt, so please forgive the shady (ha!) lighting and dubbing problems. I would fix these if I could but, as you will come to realise from my over-enthusiastic use of iMovie themes, this was my first time. (Vodcast deflowering, yay!) Getting this up on YouTube almost broke me. And now I have run out of stalling tactics, so here goes. Enjoy! If you can’t see the video below, click here to view it directly on YouTube. It runs for just over eight minutes. Our undying gratitude to Ben Reynolds, whose long weekend was rudely interrupted when we realised we needed another person to help record the thing. Big thanks also to Louise Sherwin-Stark, Merchandising Manager for e-books at Google, for helping us get a handle on Google Hangouts. It’s quite a nifty feature, and any video chat program that reminds you to check your hair before letting you join the conversation is just fab. Next, we’ll be talking about buying romance books in Australia and how local publishers market romance. Watch out for it on Friday! Tagged aussie author month, australian authors, bronwyn parry, carol marinelli, christina brooke, kate cuthbert. Great video girls! I don’t think we realise in Australia how disrespected the craft of romance writing is until we go overseas and see how romance authors are openly applauded for their achievements. 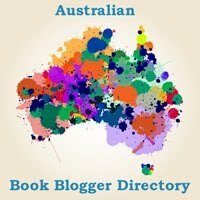 Let’s hope organisations like ARRA can raise the profile of Australian romance authors in the wider reading community. As a person who recently gushed all over Susan Elizabeth Phillips at RT in Chicago, I wish you luck with Eloisa James in August! Very intersting girls. looking forward to next weeks. Great job Kat & Kate! 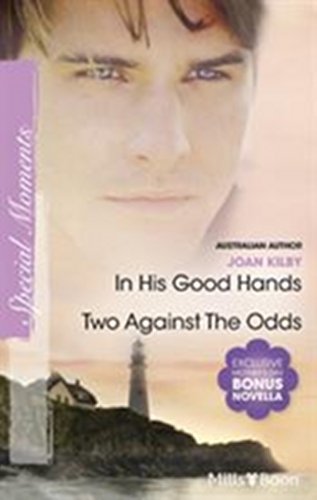 Three cheers and hurrah for helping to raise the profile of romance readers in Australia! I love that we are combining forces these days, getting together for ARRA events is just so much fun! See you girls in August, and again in March! Well done ladies! Much braver than I would ever be! OH, and the Carol Marinelli is not a romance really. There is a supposedly romantic storyline but it isn’t the main focus. I didn’t really like it but I know that there are people out there who did. It’s great to finally see you, and I loved the podcast, you can bet I’ll be here for the next! Thank you for sharing your experiences with us. Sami — I can’t wait for Eloisa James. I think she’s the first author whose books I read when I got back to romance reading. Wandergurl recommended her Pleasures trilogy and I was hooked! Debbie — ARRA has been a great initiative. Are you also thinking of coming along to GenreCon? Marg — Kate and I had veto powers over whether or not we’d release the video after we played it back. Hehe. It helps that the Hangout interface allows you to see what you look like throughout the chat. Kat, unfortunately I can’t, bubs is due in late October, so GenreCon is on at exactly the wrong time for me this year – maybe next time! Congrats on your first Vodcast ladies- very entertaining! P.s- i loved Dead Heat! Jayne — Thanks. It’s easier to be brave when you’re not alone. It’s not so noticeable after the editing, but Kate pretty much did all the introductions and led the chat, so I didn’t have to do much except talk!